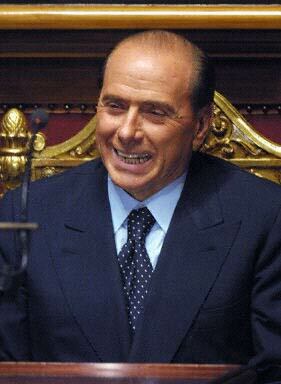 That "wicked witch," Mr. Berlusconi (Photo: AFP). Italy’s Premier Silvio Berlusconi spoiled the fun: While Europe enthusiastically celebrated the euro, the flamboyant media tycoon triggered the most severe crisis Italy has ever had in its relations with the European Union (EU). Berlusconi accepted the “resignation” of one of the strongest and most experienced pro-European voices in Italy, Foreign Minister Renato Ruggiero, “leaving an empty political hole”(Il Sole/24 Ore, Jan. 7). This is indeed a “serious loss,” EU Competition Commissioner Mario Monti was quoted in The Guardian (Jan. 9), “for a country not overly well endowed with credible big hitters on the international stage.